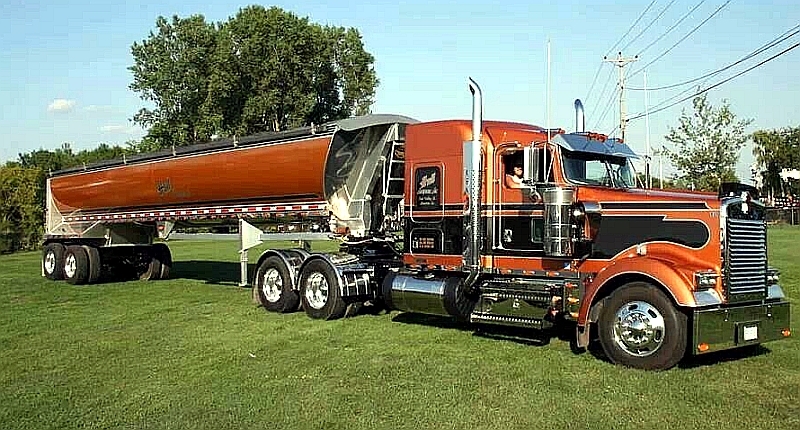 I wrote about the Kenworth corporation and their K-series a few months ago, but this time around I’m going to talk about the W900, a model so popular that it is still being produced despite its classic design. 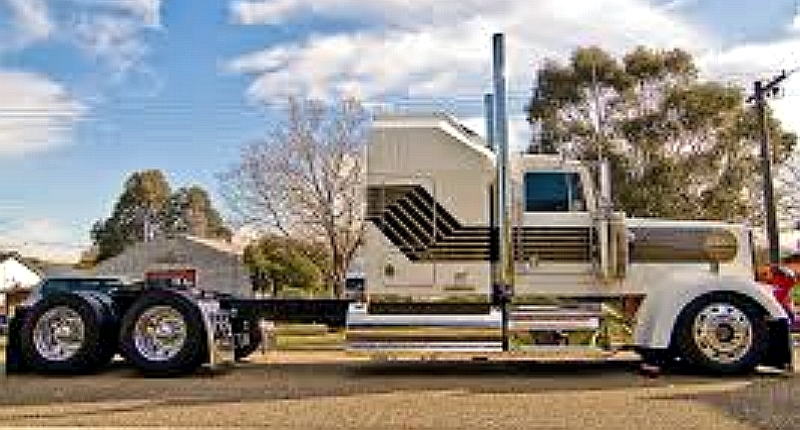 The Kenworth W900 is produced in North America and Australia, and has been on the market since 1961. 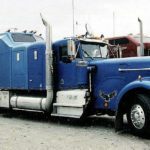 It’s a Class 8 truck along the lines of the Peterbilt 379, with a 180-600 engine available from Caterpillar, Cummins, Detroit Diesel, or PACCAR, in a variety of sizes ranging from 9 to 16 liters. There are three transmissions options, all automatic: the 10-speed, 13-speed, or 18-speed. The wheelbase averages around 285 inches. 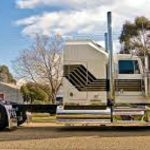 There are several sleeper options available for the W900, ranging from a 38” Aerocab Flattop Sleeper to an 86” Studio Sleeper, making this a convenient way to watch a budget or upgrade to something a bit fancier. 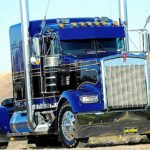 While the W900 (The “W” stands for Worthington) has undergone major updates through every decade, it’s still the same quality truck underneath. 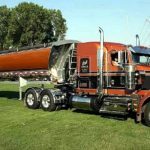 There are a few versions of the vehicle, including the W900L (The “Long” version), and the “V.I.T.” (Very Important Trucker), which was introduced during the American Centennial. The V.I.T. came with double beds and a refrigerator, and these options began to be included in later versions of the W900 as people began to want more extras for traveling longer distances. 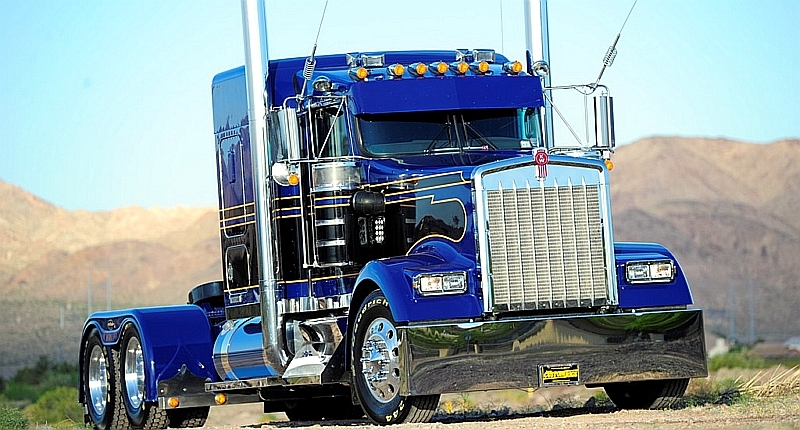 The W900L is one of Kenworth’s top sellers, especially for owner-operators. It was at first intended as a special edition version of the W900, which had made an appearance in the James Bond Film “License To Kill”. However, due to its popularity, it became a regular option rather than merely a short-run special edition. The “Long” version has a 10” longer BBC for a total of 130 inches. It officially became a regular sale item in 1989. For the W900’s 25th birthday, an ICON900 was released, complete with its own special badge and almost all the brightwork or chrome options available. 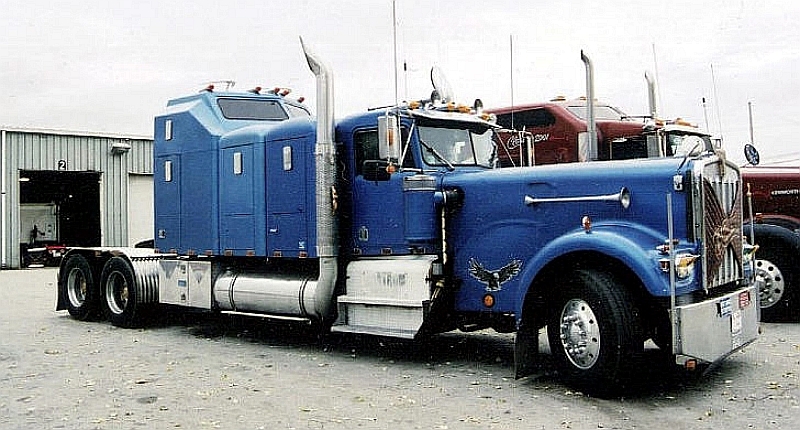 In the late 80’s, the T600 was created as a more aerodynamic cousin of sorts to the W900, but the W900 continued to be so popular that it was never retired. There are also two versions of the original W900, the W900A and the W900B, the biggest difference between them being one as round headlights (the W900A), and one has square headlights (W900B). The round headlights, of course, became more popular as time went on, but the early W900B could still be ordered with the specification of round headlights. As the W-series waned (there were buses similar in appearance to the K-series, as well as other interurban vehicles like mass transit buses), the W900 continued to go strong, its quality, durability, and comfort popular with drivers nationwide. 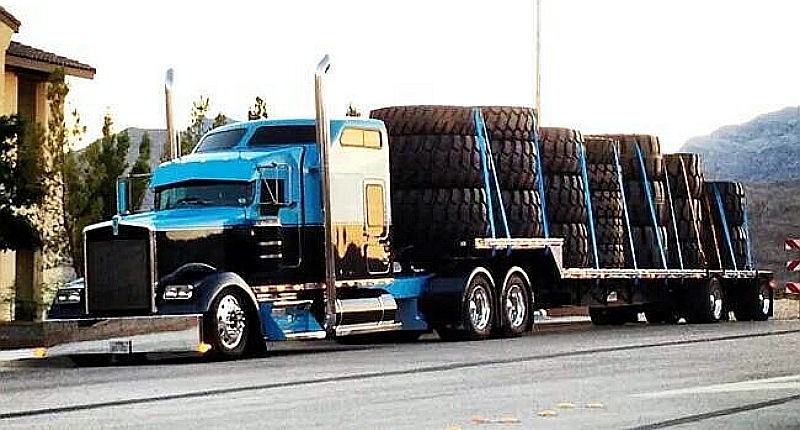 Showing no signs of stopping, this truck looks like it will be around for a very, very long time. With their focus on special orders (like fleet of trucks for the Great Northern Railway) and popularity with small businesses, they have a good grasp of what the market wants, and the W900 provides.